Item # 312226 Stash Points: 2,495 (?) This is the number of points you get in The Zumiez Stash for purchasing this item. Stash points are redeemable for exclusive rewards only available to Zumiez Stash members. To redeem your points check out the rewards catalog on thestash.zumiez.com. 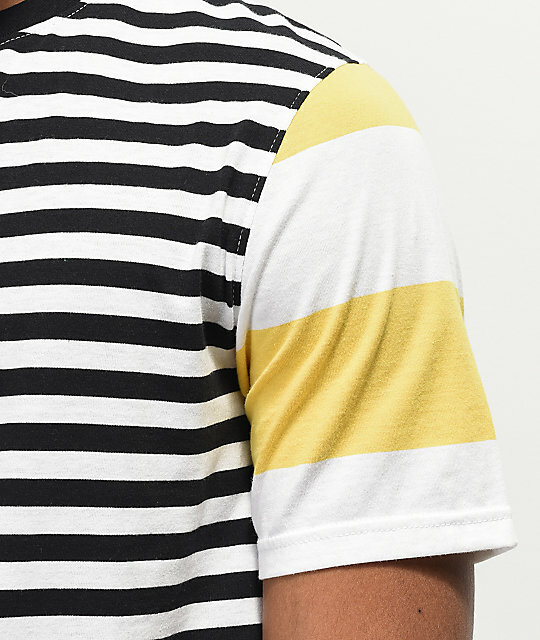 Mix up your t-shirt stash with the Offset Mix Stripe Black, Blue & Yellow T-Shirt from Zine. 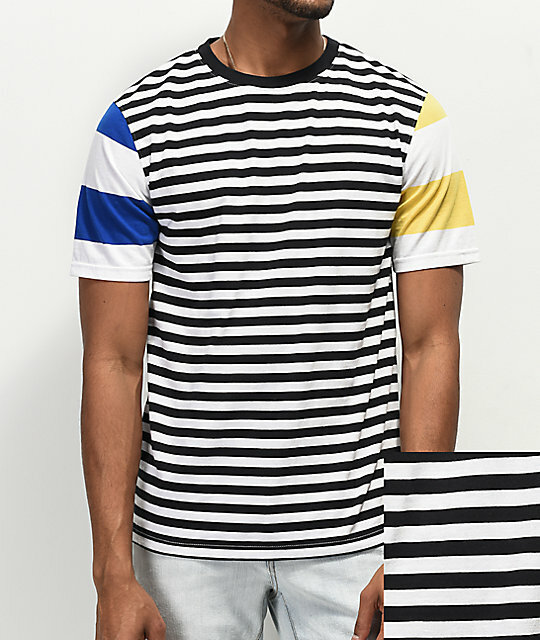 This comfortable tee features vertical black and white stripes throughout the body, while the left and right sleeves display contrasting yellow and blue stripes, for a unique look. 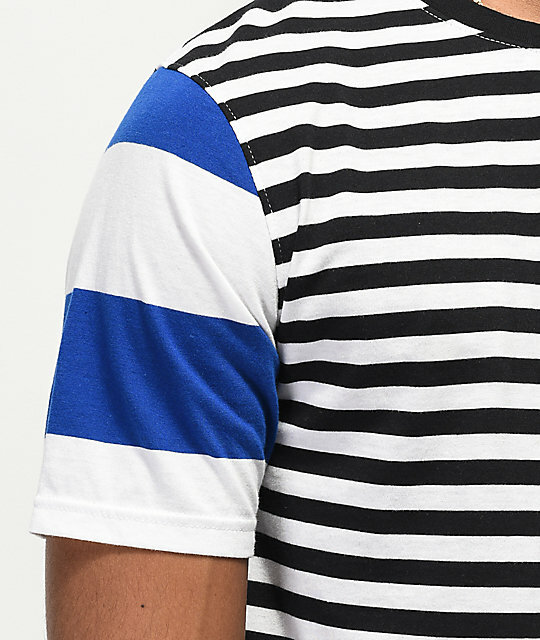 A comfortable crew neck collar and soft construction makes this tee an easy choice for your casual looks. 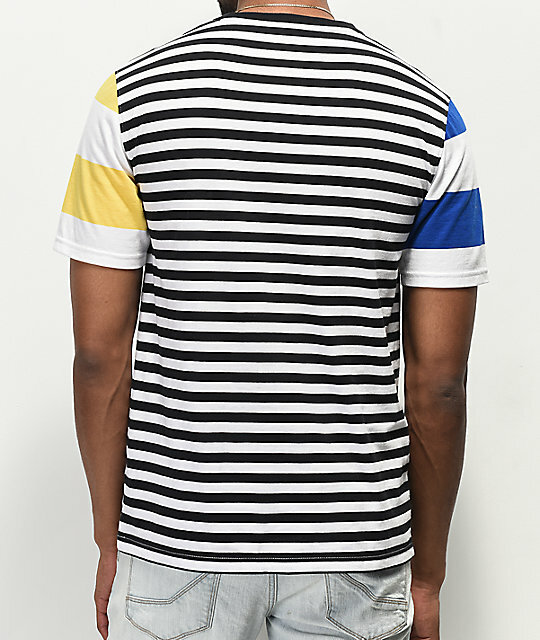 Offset Mix Stripe Black, Blue & Yellow T-Shirt from Zine. Black, yellow & blue stripes throughout. Banded, black crew neck collar.